Portrait of the happy couple above Butterfly Beach near Montecito at the Four Seasons Resort The Biltmore. 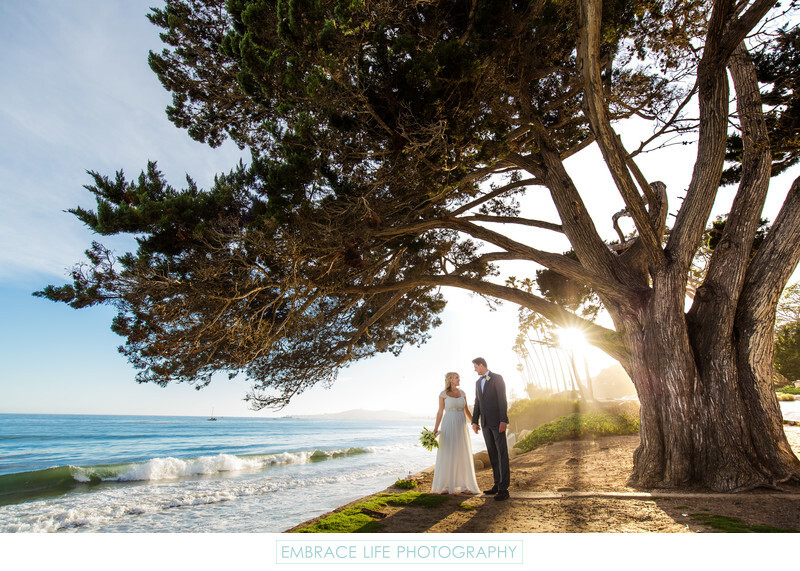 The sun sets behind the bride and groom as they hold hands under an ancient evergreen tree. Four Seasons Resort Biltmore is a dream beach front wedding location in California. Location: 1260 Channel Drive, Santa Barbara, California 93108.